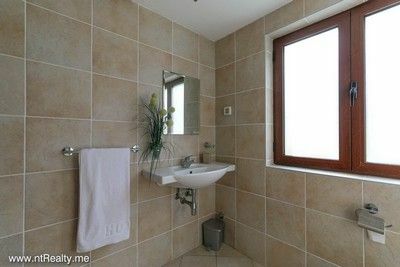 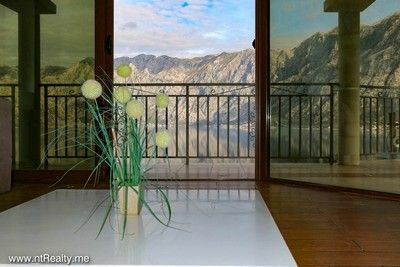 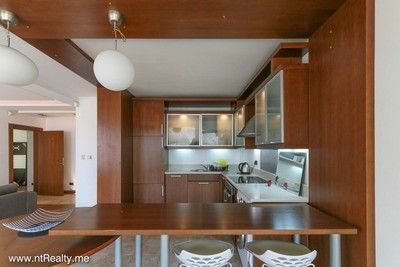 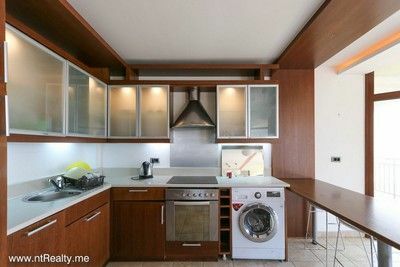 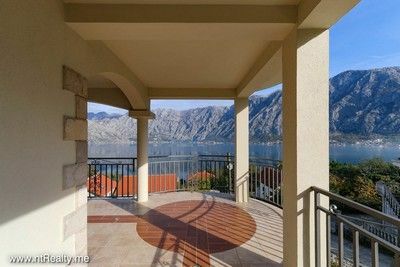 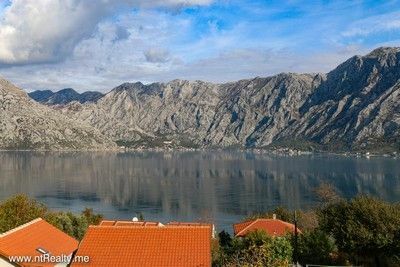 In small fishing village Prcanj, where the Kotor Bay really opens out so that you can enjoy expansive views, this spacious 3-bedroom apartment is located on the third floor of newly built private building. 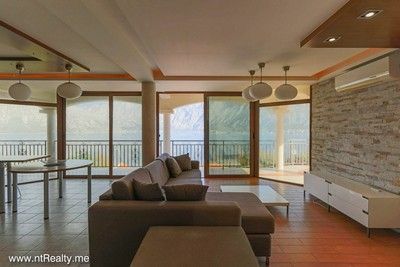 Big entrance hall leads you in to a large open plan living and kitchen area which is light and airy due to the wide opening of glazed doors leading to the balcony. 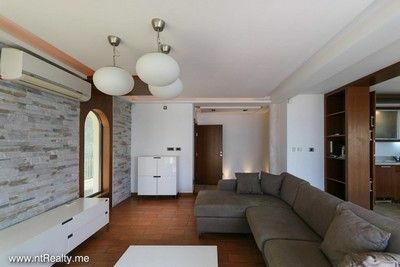 There are three bedrooms (one en suite), each with access to the terrace that surrounds apartment. 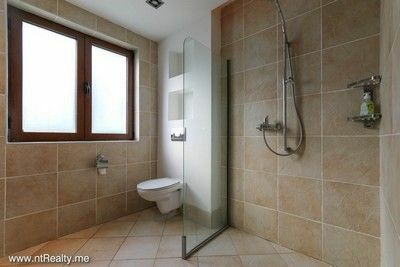 En suite bedroom includes jacuzzi. 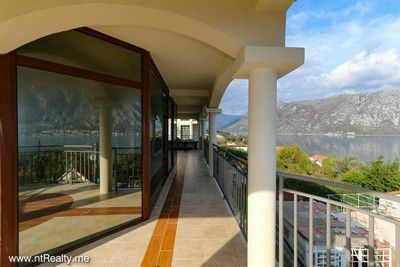 From the terrace, you have panoramic sea and mountains view. 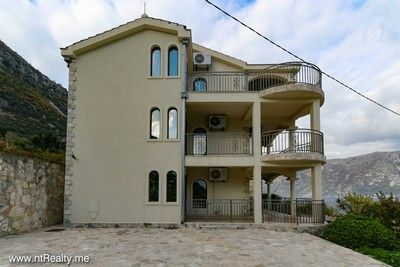 There is a shared pool right next to the apartment and private parking place in front of the building. 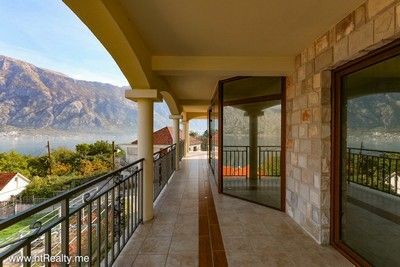 It offers excellent rental opportunities and as demand for tourism in Montenegro increases so does the demand for high quality apartments such as this.